UPDATE: Bonus for SXSW EDU 2018! Book with SXSW Housing and Travel to receive a $25 credit to your room folio if you purchase at least $25 of food and/or beverage from any of the Hilton’s food and beverage outlets and charge it to your room. SXSW Housing & Travel launched August 1 and we are excited to offer a full range of options, from budget-friendly to luxury. With a multitude of room types and amenities, SXSW Housing & Travel offers the accommodations you need for your stay in Austin. Book now for access to the widest variety of hotels and room types. As we approach SXSW EDU in March, hotels begin to sell out. Speaking of variety, the Hilton Austin, just steps from the Austin Convention Center is available for only $279 per night, and the Holiday Inn Town Lake, sitting on the bank of Lady Bird Lake, for a mere $184 per night. 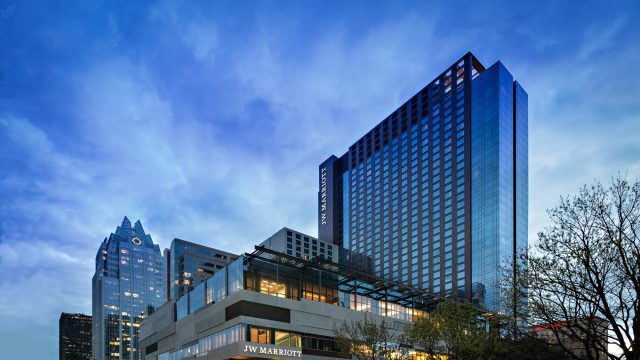 If luxury and location are key, JW Marriott is $299 per night and less than 5 minutes walk from the Austin Convention Center. These are just a few of our many hotel choices. When booking your room, pay attention to the guarantee/deposit information for the hotel you select. Some hotels use your credit card information to hold or “guarantee” your room, but don’t charge anything in advance. Other hotels require a deposit and charge their specific deposit to your credit card in late February or early March. Request your accommodations today to join education’s most energetic and passionate leaders in Austin next March!